A Fairfax County woman is in custody after police say she gave her 6-year-old son a substance that could have killed him as he laid in a hospital bed. When 28-year-old Elizabeth Malone brought her 6-year-old son to Inova Fairfax Hospital on April 19, he was bleeding from his mouth and tracheostomy tube, a search warrant says. Malone told the doctors that her son had been bleeding spontaneously from his mouth, nose and trach tube. His tests came back normal, and the doctors couldn't figure out what was causing the bleeding. According to hospital staff, the child had been admitted to the hospital seven times since February; he was admitted for bleeding twice. The doctors became concerned that someone was causing injury to the child. Child Protective Services was notified April 23, and the police were called two days later. A camera was installed inside the boy's hospital room to observe what was happening, a search warrant says. It's not cleared who ordered the camera be installed. The video captured Malone as she removed a syringe from a medical cart, emptied its contents and refilled it with an unknown substance from her purse, according to a search warrant. She then put the substance into the child's mouth and nose, police say. The child immediately suffered a medical emergency. 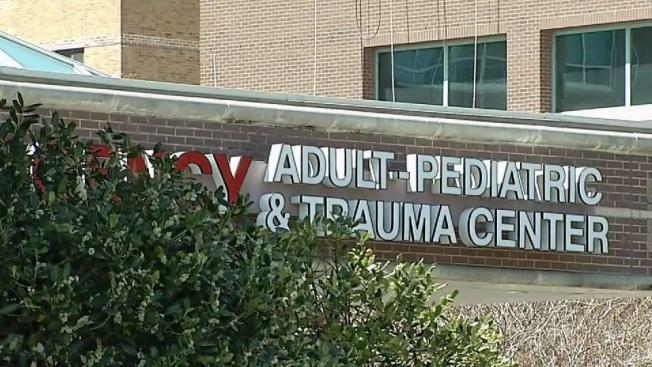 Doctors at the hospital told police that the child could've died had he not been treated properly. When officers got to the room, they saw a red fluid on multiple surfaces, including on Malone, a search warrant says. Malone's hands were swabbed for evidence and investigators collected her clothing. It's not clear whether investigators have determined what the substance was. Malone has been charged with child abuse and neglect. It's not clear whether additional charges will be filed. An Inova spokeswoman said she could not comment on specific patient cases or anything under investigation, but that under Virginia law, health care professionals are mandatory reporters when child abuse is suspected.